In this course students will continue their introduction to Koine Greek into the remaining initial elements of Greek grammar and syntax. The goal is to provide students with the full scope of the Greek language and with enough vocabulary to engage the New Testament functionally. Students will be given an opportunity to deepen their knowledge of New Testament Greek with the aid and accountability of an instructor who can provide the necessary motivation and encouragement to propel students to succeed in their studies of the language. Understanding the original languages of our Scriptures is vitally important, because it is ultimately in those languages that God has chosen to reveal himself to us. 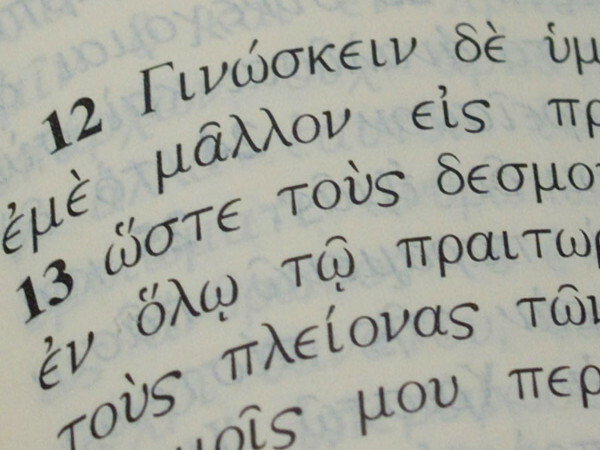 Studying Koine Greek provides students with added confidence and clarity, and helps them better understand how to interpret, translate, and communicate the meaning of the New Testament.